Students of Mahayana Buddhism may find themselves stumbling over the phrase "storehouse (or just "store") consciousness" or "alaya-vijnana" from time to time. The short definition of "storehouse consciousness" is that it's a container of sorts for past experiences and karmic action. But there's more to it than that. The Sanskrit word alaya literally means "all ground," which suggests a foundation or basis. It is often translated as "substratum." And it is also translated to mean "store" or "storehouse." Vijnana is awareness or consciousness, and it is the fifth of the Five Skandhas. Although it is often translated as "mind," it is not mind in the usual sense of the English word. Mental functions such as reasoning, recognizing or forming opinions are the jobs of other skandhas. Alaya-vijnana is the eighth of the eight levels of consciousness of Yogacara, a Mahayana philosophy that is primarily concerned with the nature of experience. In this context, vijnana refers to the awareness that intersects a sense faculty with a sense object. It is the awareness that connects an eye to a sight or an ear to a sound. The alaya-vijnana is the foundation or basis of all consciousness, and it contains impressions of all of our past actions. These impressions, sankhara, form bija, or "seeds," and from these seeds, our thoughts, opinions, desires, and attachments grow. The alaya-vijnana forms the basis of our personalities as well. 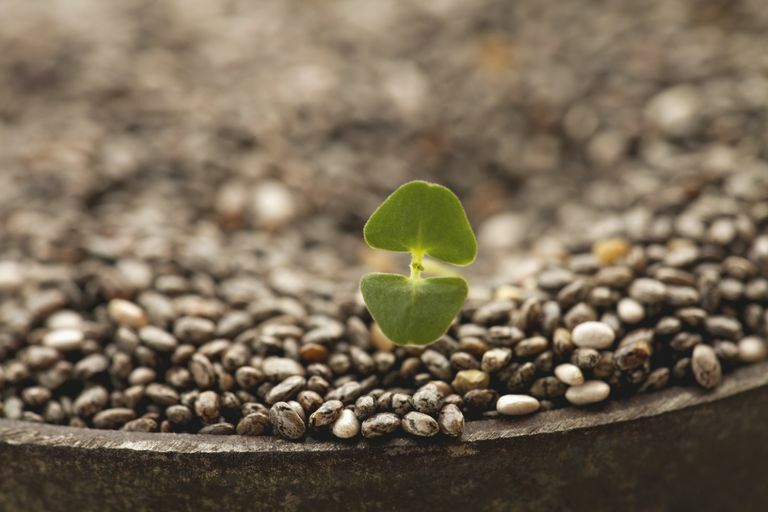 These seeds are also identified as the seeds of karma. Karma is created primarily by our intentions and acting on our intentions with thought, word, and deed. The karma thus created is said to reside in our subconscious (or, the storehouse consciousness) until it ripens, or until it is eliminated. The several schools of Buddhism offer a range of practices and approaches for eliminating harmful karma, such as performing meritorious acts or cultivating bodhicitta. Yogacara scholars also proposed that the alaya-vijnana was the "seat" of Buddha Nature, or tathagatagarbha. Buddha Nature is, basically, the fundamental nature of all beings. It is because we are fundamentally buddhas that we are able to realize Buddhahood. In some schools of Buddhism, Buddha Nature is understood to exist as something like a seed or potentiality, while in others it is already complete and present even if we aren't aware of it. Buddha Nature is not something we have, but what we are. The alaya-vijnana is, then, a repository of everything that is "us," both harmful and beneficial. It's important to not think of the alaya-vijnana as a kind of self, however. It's more like a collection of attributes we mistake for a self. And like the subconscious mind proposed by modern psychology, the contents of the storehouse consciousness shape our actions and the way we experience our lives. "The source of our perception, our way of seeing, lies in our store consciousness. If ten people look at a cloud, there will be ten different perceptions of it. Whether it is perceived as a dog, a hammer, or a coat depends on our mind—our sadness, our memories, our anger. Our perceptions carry with them all the errors of subjectivity." In Yogacara, it's said that vijnana -- awareness -- is real, but the objects of awareness are not. This doesn't mean that nothing exists, but that nothing exists as we perceive it. Our perceptions of reality are the creation of vijnana, in particular alaya-vijnana. Understanding this is the beginning of wisdom.